The cause of osteoarthritis of the hip is generally unknown, but in many cases it has a genetic basis (it runs in families). Other causes include childhood disorders, growth abnormalities, rheumatoid arthritis, trauma (fracture) and osteonecrosis (where there is loss of blood supply to the hip joint). Pain from hip osteoarthritis is normally felt in the groin, buttock, thigh or knee, or in a combination of these locations. It also results in stiffness which creates difficulties with daily activities, such as putting on shoes and socks. The diagnosis is confirmed by your doctor’s history and examination as well as X-rays and in some cases MRI scans. Since the 1960s, total hip replacement has revolutionised the management of patients with osteoarthritis of the hip. It has been described by The Lancet as The Operation of the Century. 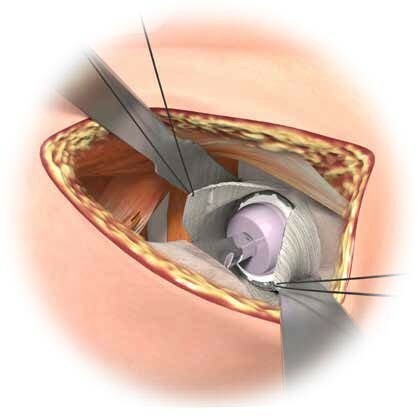 The surgeon removes the diseased hip and inserts an artificial ball and socket hip joint. Today, patients present for total hip replacement surgery hoping to restore their quality of life, which may include physically demanding activities. Hip replacement surgery can be very successful in younger people as well as those over 60. Advances in bioengineering technology have driven development of hip prostheses. Both cemented and uncemented hips can provide durable fixation. Better materials and design have allowed use of large bore bearings, which provide an increased range of motion with enhanced stability and very low wear. Dr Limbers performs minimally invasive anterior total hip replacement surgery. In this approach the hip joint is exposed from the front. 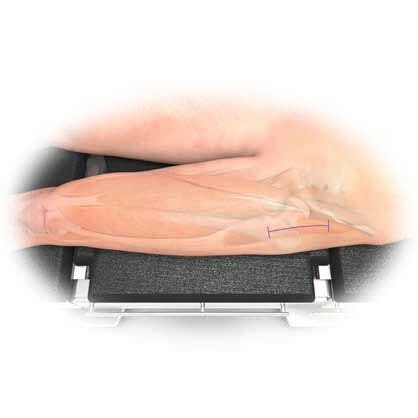 The surgical approach is internervous and intermuscular. This means that the diseased hip joint is exposed between the muscles and their nerve supplies. No muscle fibres are cut or split in this approach. This limits soft-tissue damage and facilitates accelerated discharge and rehabilitation. No hip precautions. Patients can have unrestricted range of motion immediately after their surgery. This includes sleeping on their side and bending down to put shoes and socks on. When Should I Have My Hip Replaced? The decision to proceed with anterior hip replacement surgery is made when ongoing pain compromises a person’s quality of life, despite non-operative measures such as simple analgesia (for example Panadol), stronger analgesia, anti-inflammatory medications, and physiotherapy. The longevity of hip replacements is outstanding. Currently, 90% of replacements are still functioning well at 20 years following their insertion. The aim following hip replacement surgery is a return to all activities of daily living, work and leisure. Following hip replacement surgery, patients can look forward to substantial, if not total, relief from pain, and markedly improved mobility and quality of life. The vast majority of patients who undergo anterior total hip replacement have excellent long term results, with pain relief that lasts for the rest of their life. Most of the recovery is achieved in the first 6 weeks, with improvement continuing over 3 to 6 months. There is no restriction in hip movements in the 1st 6 weeks after anterior total hip replacement. Driving is allowed after 4 weeks. You can expect to take analgesics for up to 6 weeks following surgery. You may require a stick for a couple of weeks. Daily activities are undertaken as tolerated and return to active pursuits as comfort allows. Walking, pool based exercises and cycling are usual in the 1st 6 weeks after surgery. Golf can be recommenced at 6 weeks. Depending on your type of work you may return in 4 – 6 weeks. Light duties may be undertaken sooner as comfort allows. Heavier work may be up to 3 months. • Infection. Most infections are superficial requiring antibiotic treatment only. The lifetime risk of a deep infection requiring further surgery is approximately 1%. Invasive dental procedures should be covered with oral antibiotics. • Blood Clots (DVT).Blood clot prevention includes early mobilisation, anticoagulant medication and TED stockings. • Damage to nerves or blood vessels. This is also rare but can lead to weakness and loss of sensation in part of the leg. • Wound or scar irritation. Some sensitivity or small areas of numbness may occur at the wound site. 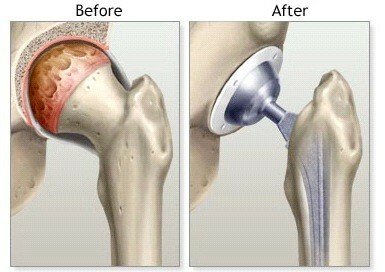 This usually decreases over time and will not affect the function of the total hip replacement. • Leg length inequality. In some cases it can be difficult to make the leg length equal to the other one. There are times when it may be necessary to lengthen your leg slightly during the surgery to make the hip stable. Leg length inequalities can be treated with a simple heel raise in your shoe. • Limp due to muscle weakness. This is usually addressed over time with physiotherapy. Anterior total hip replacement is an extremely successful procedure that allows patients excellent pain relief and return to an active lifestyle. Dr Limbers will order routine blood tests, ECG and a urine test prior to your surgery. The pre admission nurse will also discuss issues related to your hospital stay. Although the incidence of infection following hip replacement is rare, treatment of significant dental disease (including tooth extractions and periodontal work) is recommended before your hip replacement surgery. Anticoagulant medication such as Plavix, Cartia or Asprin should be ceased 7 days prior to surgery. Some other anticoagulants including Warfarin medication should be ceased with advice from your treating physician. All Vitamins and supplements should be ceased 10 days prior to surgery. Regular prescribed medications should be continued. Hip replacement surgery is usually performed under general anaesthetic, often in combination with a spinal anaesthetic to assist with post-operative pain relief. A decision regarding anaesthetic choices will be made by you and the anaesthetist prior to your operation. The hospital will call you a day prior to your surgery to give you an arrival time and your fasting details. Please bring your X-rays. You will be admitted on the day of your surgery by the nursing staff. You will have the hip prepared and change into a hospital gown. Your anaesthetist will meet you and you will be transferred to the operating theatre. The operation takes about 90 minutes. An incision is made over the front of the upper thigh. 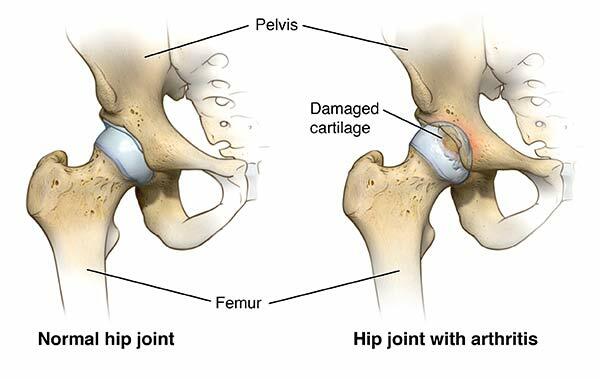 The hip is exposed by passing between the muscles in front of the joint. The joint capsule is then opened. The acetabulum (Hip Socket) is prepared using an instrument called a reamer. The metal acetabular cup is inserted into the acetabulum and then a liner made of plastic or ceramic (depending on the age and activity level of the patient). The femur (Thigh Bone) is prepared and a femoral component inserted. The femoral component may be cemented or uncemented (pressfit) again depending on the age and activity level of the patient. The ceramic femoral head is attached. The hip is tested for stability and leg length and the component position checked by intra-operative X-ray. Local anaesthetic is injected into the wound for pain relief. A local anaesthetic infusion catheter is also left in the wound to control pain. The wound is carefully closed. The wound will be covered with a waterproof dressing. After surgery you will be transferred to the recovery room where you will remain monitored for 1-2 hours before being transferred to the ward. Medication will be given to control your pain. Pain control is important and you are encouraged to request and take pain medication as often as you need it. Medication to help prevent the formation of blood clots will be given. On the day following surgery the physiotherapist will give you some breathing exercises, leg exercises and sit you out of bed and encourage you to walk with a frame support. Your hospital stay is usually 3 – 4 days. After that you will be discharged home or to a rehabilitation hospital, depending on your preference. If you have inpatient rehabilitation it will be arranged by the hospital following your surgery and you will be transferred directly to the rehabilitation hospital. You will be referred for post-operative physiotherapy.